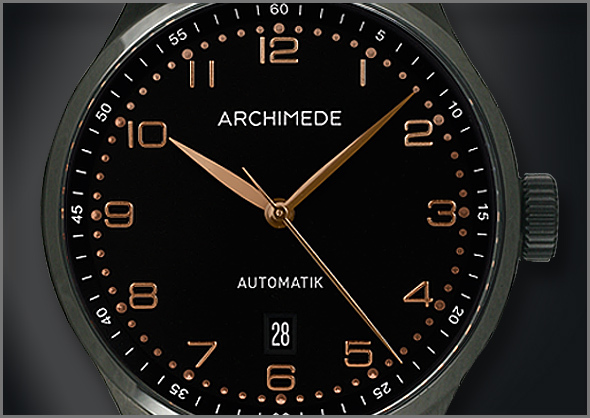 Please be informed that the ARCHIMEDE OutDoor Tool is no longer available as it was a special offer for a certain time. 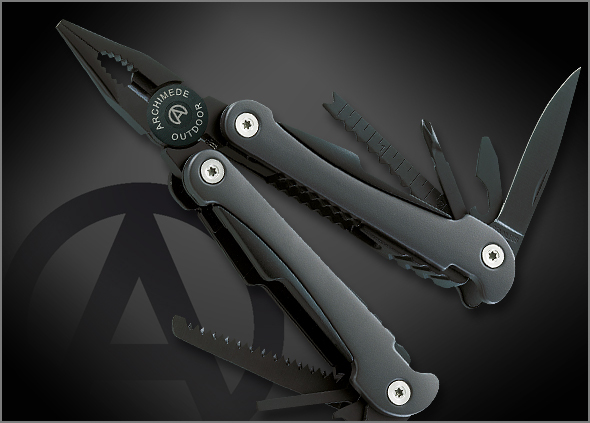 When ordering an OutDoor Protect or Black we offer from now on a great MULTI TOOL. This versatile tool combines 9 functions in one single unit. With Philips screwdriver, slotted screwdriver, Wire cutter, Combination pliers, Bottle opener, knife, Saw, File and Ruler you are well equipped for almost all out- and indoor activities. 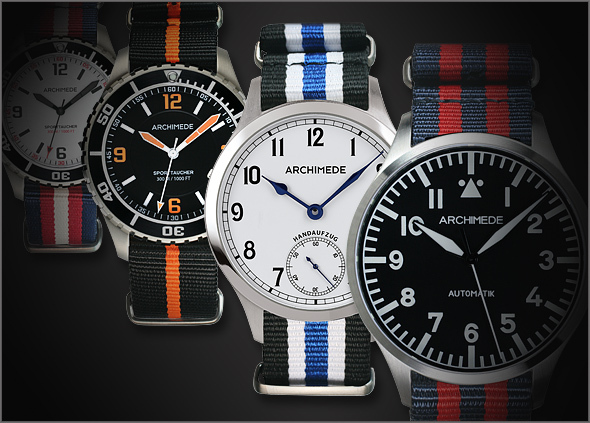 Certain ARCHIMEDE models are now available with NATO STRAPS in different design and colour variations! Again a big THANK YOU to Max ! 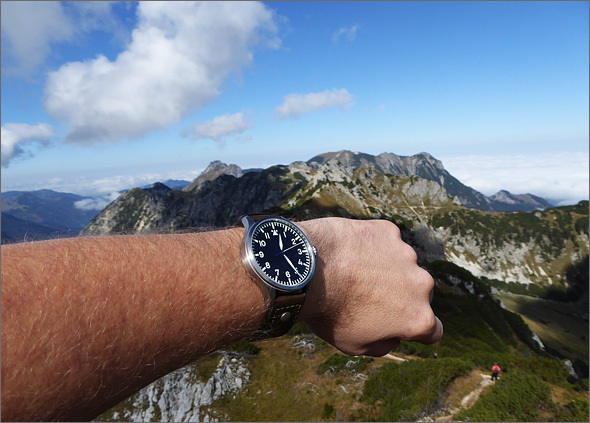 We look forward to the next excursions! Klassik 42 BIC & Klassik 42 GUILLOCH. The exquisite dials are each available in silver or black. The hand applied indices and the hands are rosegold plated.